We are pleased to announce the release of the ScanCenter NG 2019.1. We have added a number of new features that makes work with the program more convenient. New improved algorithm of the model generation. We have developed a new, improved, algorithm that works equally well with all types of objects. It works faster and transfer borders of scanned data more reliably on the model. Algorithm suggests optimal resolution for the set of scanned data and allows you to work with familiar resolution levels as well as with values of resolution in microns. In addition, it allows to unload all scans from RAM memory before starting to build a model. 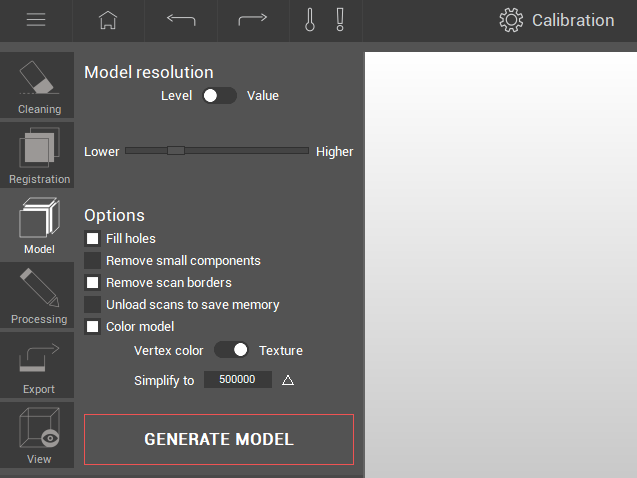 It allows to build models even on PCs with small amount of RAM. We carefully listen to feedback from users and continue to improve the interface, making it even more convenient and good looking. New feature - Project Manager. We have added a feature to simplify work with large projects. Now, in case of a shortage of RAM, you can unload some of the data from the project, which is currently not needed and return it to the project later when needed. 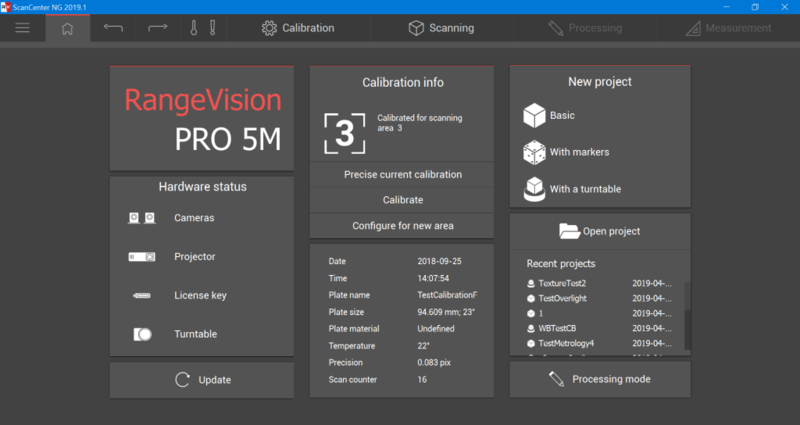 Also it allows you to activate the simplification of all scans in project to reduce the use of RAM. Support of the high resolution displays. We have optimized the interface of the ScanCenter NG to support high and nonstandard screen resolutions. Now all interface elements, including fonts, are scaled and adjusted according to the system settings. This update also includes many other improvements that increase the stability and reliability of the software. 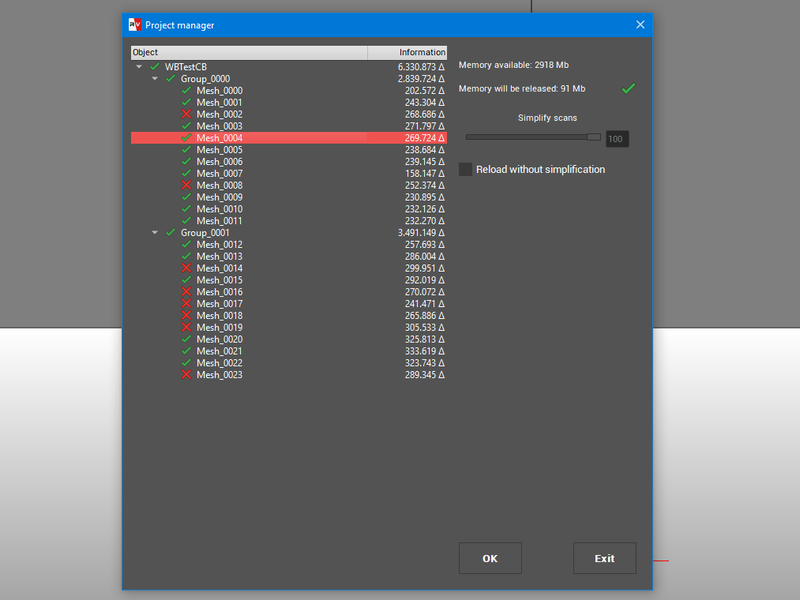 The ScanCenter NG 2019.1 is already available for download. 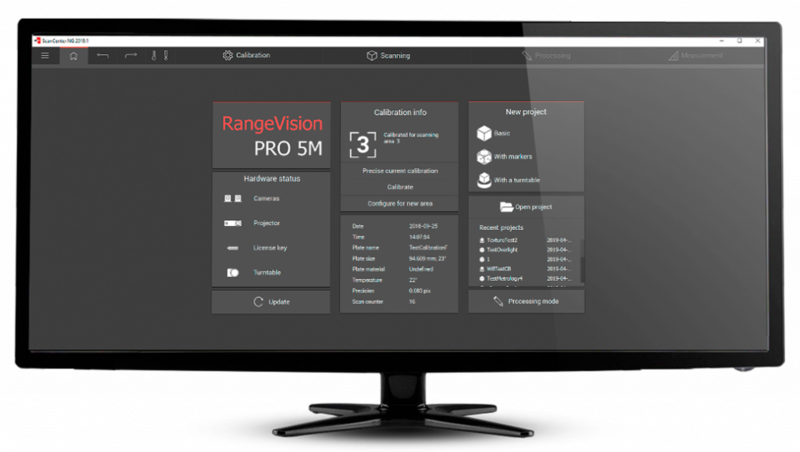 All software updates are still free for all RangeVision users.